Don’t hassle with rubbish bins overflowing. Contact All Trash OZ. We don’t make you hassle with bin removals, but do your cleanup for you. We are more cost efficient than bin removals for your strata waste removal. Contact us today for an reliable quote. The cleanliness of your property is a reflection of the care you provide to your renters. Your strata or apartment complex needs to be maintained. Ridding waste is essential. Rubbish to a property not only discourages potential renters, but those that are currently renting. A property can quickly lose value. All Trash OZ are experts in the rubbish removal industry, ensuring that your property maintains its value. Have tenants that have left garbage and junk behind? No worries, All Trash OZ experts are the experts that clean out belongings and rubbish that previous tenants have left behind. Don’t let troubles consume your managers and property owners, we get the job done. Concerned about rubbish violations? This is a concern that managers and property owners have when their rubbish is collected through trash bins. The concern is even greater when dumping an apartment or common property. With All Trash OZ, you don’t have the concerns of garbage regulation violations. Rubbish bins mean that you have work on your hands. With the busy schedule of managers and property owners, there is little time to hassle with the rubbish that needs to be removed from a property. At All Trash OZ, you don’t have to hassle with collecting your trash and placing it into the waste bin. We are the removal experts that do away with trash bins. We are a team of rubbish men that collect, load and dispose of the trash, leaving our customers with the least work and concern as their rubbish is collected and disposed of properly. 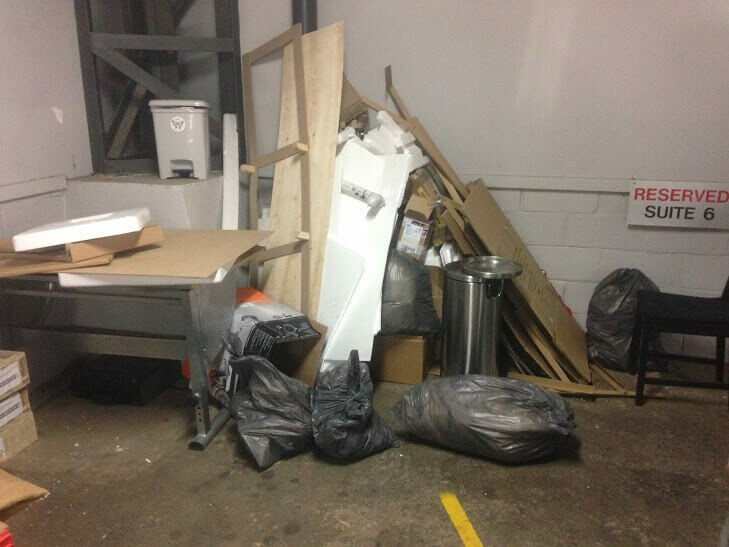 We are the most effective means to ridding your strata or apartment property of your rubbish. As experts, we know that each job we complete is a new challenge. No two properties are the same. At All Trash OZ, our team is one that is diverse. We not only have the team of experts that you require to rid your property of its rubbish, but one that does so in a cost-effective manner. We ensure you that we don’t provide you with a quote until we have the full details of your Rubbish Removal needs to provide you the best removal plan at the most efficient costs. We also work to the convenience of our customers schedules. Day or night, you can assure that we can schedule convenient strata rubbish removal services. When it comes to rubbish removals, All Trash OZ can’t be beat. We are the industry experts that excel in experience, skill and cost. We will have your strata or apartment premises cleaned up in the most efficient manner. For more information on our Strata Rubbish Removal Sydney services, just contact All Trash OZ at the number below. We can also be reached through our “Get a Quote” form located at the top right of this web page. When you want the best value for your money, you need to contact All Trash OZ for your strata rubbish removal Sydney. We are the cost efficient experts. Just give us a call. Get value for your money, contact the strata rubbish removal experts, contact All Trash OZ.